A Sugar Detox IV helps nourish your body right away! Feeling sluggish from the minute you wake up? Reaching for an extra cup of coffee (or two) every day? Hitting the vending machine more frequently? Seeing extra fine lines on your face? Feeling bloated? These are all signs that you might benefit from a Sugar Detox IV. A healthy diet rich in vitamins and minerals is the best way to nourish your body. When you need help from a late night binge, holidays or just bad habits, a Sugar Detox IV can help bring your insulin levels back to normal. Conditions such as stress, a medical illness, or food intolerances can inhibit the absorption of important substances such as calcium, magnesium, zinc, selenium, vitamins B1, B2, B3, B5, B6, B12, C, folic acid, glutathione, or biotin. Injecting those nutrients directly into the blood stream may be the best option to ensure that your body is getting what it needs. Furthermore, Dr. Nirvana’s formulation helps to regulate the body’s metabolism and detoxification, while preventing the increased risk diabetes. Abdominal obesity. As the waist grows larger, insulin becomes increasingly ineffective in your body, therefore levels of this hormone rise. Hunger and cravings for sugar or carbohydrate rich foods. People with high blood insulin are hungry and nothing will satisfy their appetite like carbs. Elevated blood sugar. A fasting blood sugar level greater than 97 indicates insulin resistance. Acne and large pores on the face. Insulin and its cousin insulin-like growth factor-1 promote higher levels of the male hormone testosterone and increase the sensitivity of your face to testosterone. That means you’re more likely to experience acne and greasy skin. Scalp hair loss in women in the male pattern (front and sides). Swollen ankles. Insulin tells your kidneys to hang on to sodium and water, therefore you will look more puffy. You can experience fluid retention anywhere on your body, such as your fingers, face and abdomen. What does it Mean when your Insulin levels are too High? When you eat carbohydrates and your blood sugar rises, your pancreas releases insulin to bring blood sugar levels back to normal. Insulin helps glucose get into your cells so your body can use it for fuel. High insulin is a sign of insulin resistance and therefore can cause problems with glucose control, diabetes, fatty liver, metabolic syndrome and cardiovascular disease. How often should you Receive a Detox IV? 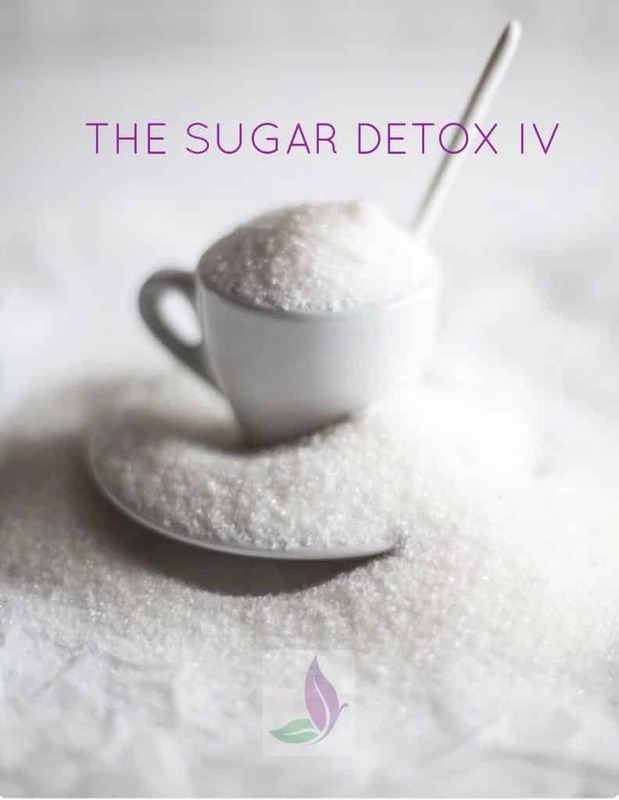 The Sugar Detox IV is best for those times when you over-indulged as well as when you just can’t seem to stop eating sweets. If you find that you are already insulin resistant or pre-diabetic, than a Sugar Detox IV can help your body restore it’s immunity. And furthermore can help your healthy sugar regulation by receiving this IV at least once weekly. Dr. Nirvana’s IV formulations are unique to standard IVs and use only ingredients of the highest possible grade, produced here in the United States. All of Dr. Nirvana’s IV’s include her very own proprietary blend of botanicals, vitamins, minerals, and antioxidants that are combined in such a manner to maximize absorption in the body. As a Licensed Naturopathic Doctor, Dr. Nirvana has extensive training in the formulation and administration of appropriate nutritional IV compounding preparations, to produce a gold-standard for Nutritional IVs. Because of this, all of the IV’s are custom-made to your body’s exact nutritional requirements for optimum efficacy. Traditional Doctors such as MDs, DOs and those practicing “functional medicine”, have little, if any, formal training in each of these areas and most have RN’s or Nursing Assistants administering the IVs. However, Dr. Nirvana works directly with each patient to ensure their proper healing and while implementing safe IV practices. She spends a great deal of time researching the latest and best advances in Nutrition and IV Therapy, ensuring that her patients have the very best care possible. Experience Nutritional IV Therapy done the right way, by Dr. Nirvana. The cost for a Sugar Detox IV is $199. To schedule your appointment please contact us here.